A few months before your clients turn 65, they’ll begin to receive mass mailings discussing Medicare enrollment, Medicare Advantage plans, and other pharmacy-related plans. Although many third-party providers offer legitimate products and services, it’s often difficult to differentiate between these marketing materials and official government mailings from the Centers for Medicare & Medicaid Services. If they haven’t established a plan ahead of time, your clients may be at risk of making poor decisions with financial repercussions. As an advisor, what can you do to help ensure that this doesn’t happen? Here, I’ll offer five steps for helping your clients with Medicare enrollment. When your clients turn 64, remind them of the Medicare enrollment period. Seem obvious? Maybe so, but it can save them from inadvertently missing the enrollment time frame. If your clients are already receiving social security or U.S. Railroad Retirement Board benefits, they will be automatically enrolled in Part A and Part B coverage the first day of the month in which they turn 65. If they are not receiving these benefits, they may enroll during a period that begins three months before and ends three months after their 65th birthday. 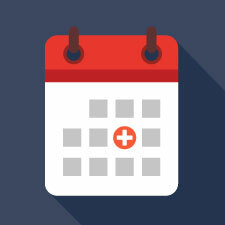 If your clients don’t sign up for Part A, Part B, or both when they are first eligible, they can enroll between January 1 and March 31 every year, but there may pay a penalty for late enrollment. If your clients are currently covered by group insurance through an employer or a spouse’s employer, they may be able to delay enrolling in Medicare. These clients should talk to their employers to determine how the group plan coordinates with Medicare. Clients may sign up without penalty during the eight-month period that begins the month after their employment ends or the coverage ends, whichever comes first. COBRA and retiree health plans are not considered coverage based on current employment and are not eligible for the special enrollment period when that coverage ends. Remember: The clock starts ticking when employment ends, so clients shouldn’t wait until coverage ends to enroll in Medicare Part B. Be sure to talk with your clients about how Medigap and Medicare Advantage plans work. Medigap policies. Also called Medicare Supplement Insurance policies, these policies are sold by private companies and can help pay for some of the health care costs that original Medicare doesn’t cover (e.g., co-payments, coinsurance, and deductibles). Your clients pay premiums for Medigap policies, which are standardized according to federal and state laws. Medicare Advantage plans. Sometimes called Part C or MA plans, these plans are much like HMOs or PPOs and are health plans offered by private companies approved by Medicare. They provide Part A (hospital insurance) and Part B (medical insurance) coverage. Some plans may also provide drug, dental, or eye care benefits. If your clients would like to search and compare Medicare Advantage plans, suggest that they visit the Medicare website. If your client has a Medigap policy and joins a Medicare Advantage plan, he or she may wish to drop the Medigap policy, as it cannot be used to pay the Medicare Advantage plan co-payments, deductibles, and premiums. If a client has a Medicare Advantage plan, it’s illegal for anyone to sell a Medigap policy to him or her, unless the client is switching back to Original Medicare. If your client had a Medigap policy before, he or she may be able to get that same policy if the company still sells it. If it isn’t available, the client can purchase another Medigap policy. The Medigap policy cannot include prescription drug coverage (even if the client had it before), but the client may be able to join a Medicare prescription drug plan. If your client joined a Medicare Advantage plan when he or she was first eligible for Medicare, the client can choose from any Medigap policy. Once your clients have found the right Medicare Advantage plan for their needs, you may wish to offer the following pointers to help them take full advantage of their benefits. Explore the preventive services covered by the plan. These services are usually offered at no additional out-of-pocket cost. Many Medicare Advantage plans provide extra benefits to help maintain clients’ health, including wellness programs, gym memberships, and disease management programs. Save on prescription drugs. Clients enrolled in a Medicare Advantage plan that includes drug coverage should check the plan details to see if they can save money on their prescriptions. Mail-order pharmacy benefits are becoming a great way to save money and may offer convenient home delivery of a multiple-month supply. Understand the plan’s care provider network (and stay in-network if possible). Most Medicare Advantage plans work with a network of doctors and pharmacies to coordinate the care that their members receive. Check on plan discounts on everyday health care items and services. Medicare Advantage plans often provide discounts on vitamins, alternative medicine services, hearing aids, and the like. Plan yearly health care expenses with the out-of-pocket maximum in mind. Unlike Original Medicare, which doesn’t cap out-of-pocket expenses, Medicare Advantage plans are required to cap their members’ annual out-of-pocket expenses. In 2015, the maximum amount a Medicare Advantage enrollee can be asked to pay out of pocket for in-network medical services is $7,061. Some plans set their out-of-pocket maximum at lower levels. Prescription drug costs, such as co-pays, are not included when calculating a member’s progress toward the out-of-pocket maximum. Once your client has reached the out-of-pocket maximum set by his or her plan, all additional costs for Medicare-covered services for the remainder of the year are 100-percent covered. Advise your clients to ensure that their health care providers accept Medicare. If so, they should also ask if the providers accept assignment. If the answer is yes, the Medicare-approved amount will be accepted as full payment for services. Depending on the type of Medicare plan the client enrolls in, he or she may be able to keep his or her health care providers, but some of them may not restrict their fees to the Medicare limit. If a health care professional accepts assignment, the client won’t have to pay up front for treatment, file a claim form, and wait for reimbursement. Instead, the health care provider will file the client’s claims, and the client will be billed only for his or her share of the costs (e.g., deductible and coinsurance amounts). To locate doctors near them that accept assignment, clients can use Medicare’s provider search. Bombarded with unsolicited mail about their Medicare choices, it’s all too easy for your clients to become confused and frustrated with the enrollment process. Many have very little information about the decisions they will need to make or the factors they should consider. But, with your guidance, clients can make a smooth transition into their new health care plan. In addition to the tips discussed here, your client can learn more from Medicare & You 2016, published by the Centers for Medicare & Medicaid Services. Easy to understand and navigate, this book serves as an excellent resource for specific questions that your clients may have about Medicare. Have your clients expressed concern or confusion about the Medicare enrollment process? What resources do you suggest to help with this process? Please share your thoughts with us below.